MyHousing is the first web portal that allows people in NSW to apply for social housing and manage their housing accounts online. The challenge was to launch the online portal to thousands of applicants and tenants who may have varying literacy levels, little access to technology, and come from culturally diverse backgrounds. The Housing Connect team had only 6 months to go live. 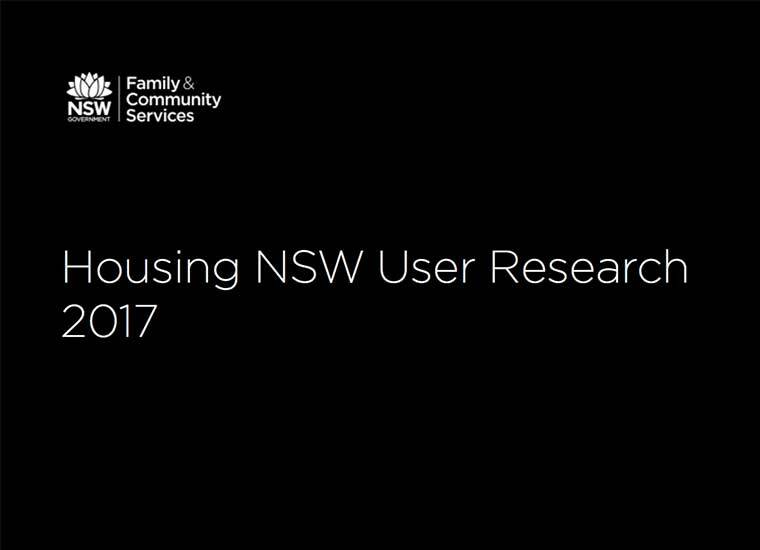 By researching what the Housing teams were aiming to achieve with the needs of people applying for Housing as well as existing tenants in NSW, the team was more aligned to start the design process. 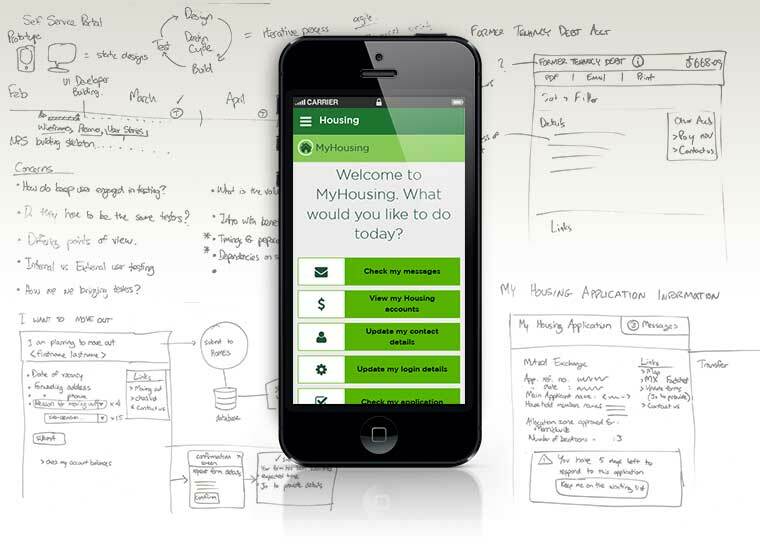 Working together to sketch and agree upon the UI (User Interface) to meet the housing clients needs, a prototype was designed and then built with responsive (mobile-friendly) components from a bespoke design pattern library. 3x rounds of usability testing allowed the team to prioritise the main issues and iterate accordingly. This ensured a good experience for most users and when launched, zero technical or user problems. During usability testing before launch, the website achieved high task completion rates and most people found it easy to use score. Participants kept asking when it was going live indicating a strong need for the website to launch in 2016. At time of launch, the task completion rate remained at 94% and the ease-of-use score increased slightly from 84% to 94%. Overall, the site was an unprecedented success as a launch result in Housing NSW.